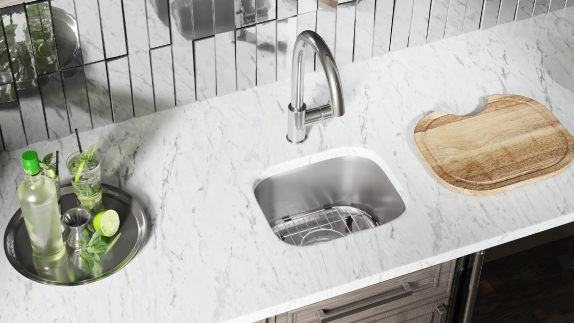 Small sinks are useful additions to the home as wet bar sinks or as kitchen prep sinks. 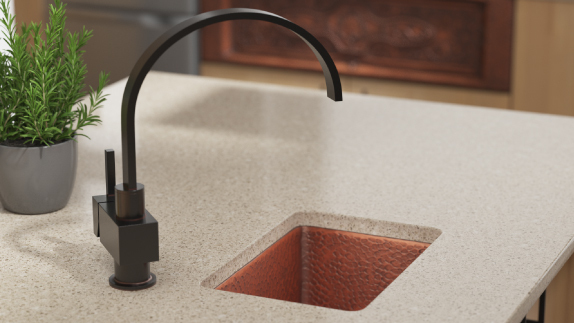 Indoors or out, in the kitchen or the entertainment area, any MR Direct bar sink or food prep sink will add a source of water in an attractive and un-intrusive way. 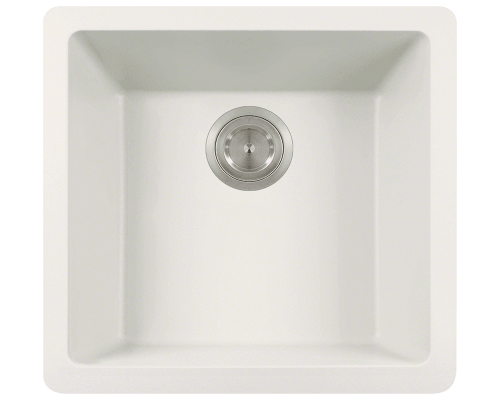 Sizes vary, but generally a bar sink measures no more than 20 inches in any direction; usually much smaller. MR Direct offers bar sinks in three different materials. 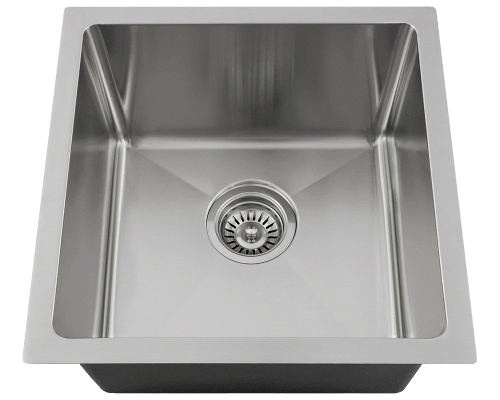 Our stainless steel bar sinks are formed from a single piece of 304-grade stainless steel. 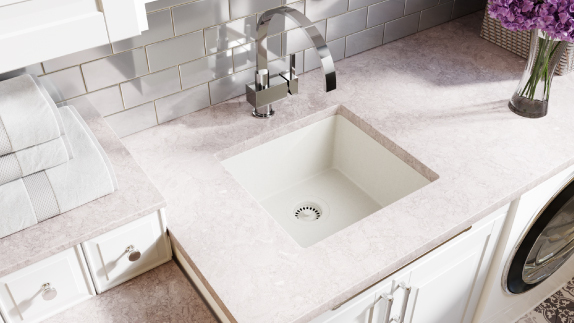 Our composite granite bar sinks, known as TruGranite bar sinks, are a durable blend of 80% quartz and 20% acrylic. 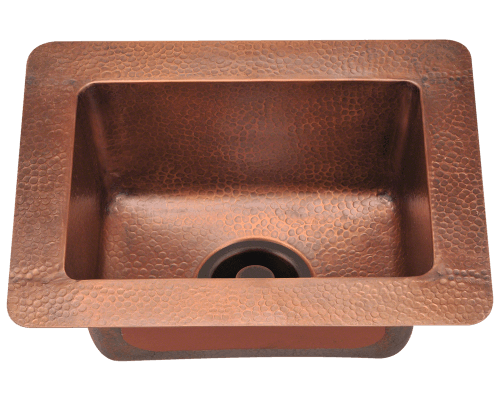 We also offer copper bar sinks made from 99% pure, mined copper. 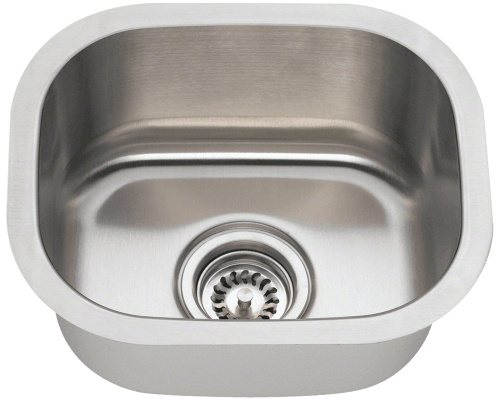 Our small stainless steel sinks are available in models to be used as drop in stainless steel bar sinks and undermount stainless steel bar sinks. 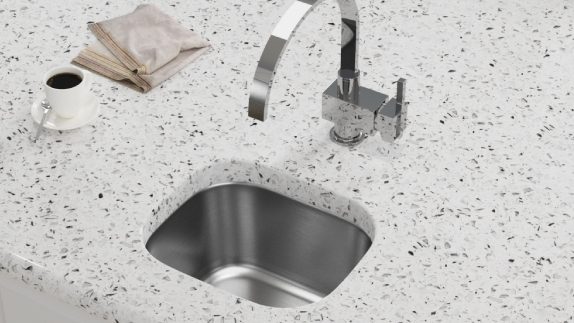 Likewise, some of our TruGranite styles are designed as drop in composite granite bar sinks, and others as undermount composite granite bar sinks. Our copper prep sinks are available only as undermount copper bar sinks.